There have been many takes on colour-schemed gardens. But white gardens are perhaps the most difficult to pull off – or at least I think so! Often thought of as simply the colour of light, white is most often used in gardens to dot light around, highlighting other colours and brightening up darker areas. Technically it is an achromatic colour ~ that is a colour without a hue. Used en masse white works best against dark, enclosing hedges (of Yew or Buxus perhaps, or in my case, beech). Interestingly Vita Sackville-West referred to her famous (the most famous?) white garden at Sissinghurst both her “pale garden” as well as a “green, grey, white and silver garden”. Whether white is a colour or not, in terms of plants, there are many shades of white and it does to be fairly open-minded. 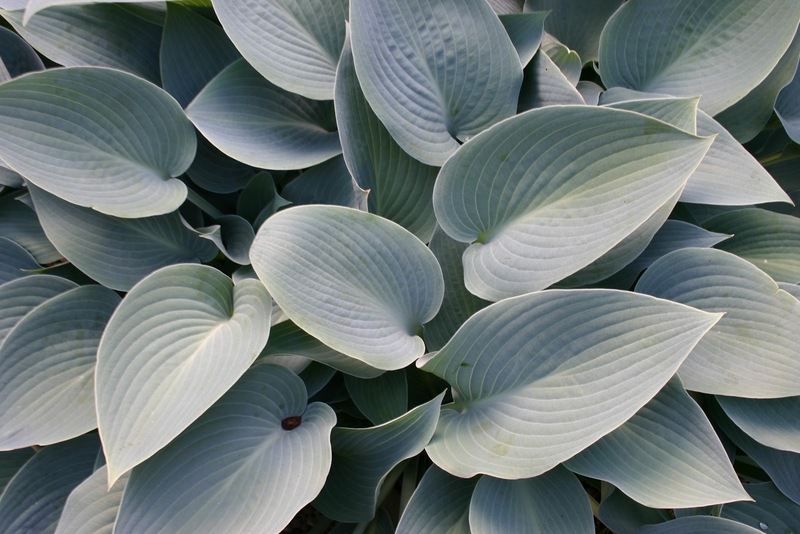 Pale creams, pale yellows, pink tinges, the blue flowers of a Hosta – are they welcome? On Gardeners’ World this week, Mat Reece, Head Gardener at the 10-acre private garden Malverleys in Hampshire said that when an unwanted colour pops up in their white garden, it is like having a nasty mark on a pristine white shirt. I have ended up moving a few creamy-yellow Wallflowers which were frankly too coloured. The odd rogue self-seeded scarlet poppies have also been given very short shrift. I have found that it is A) hard to stick with white, pure white and nothing but the white and B) softer and more interesting with other colours allowed to act as a foil to the white. Grey (and silver) and green are the most obvious choices and these seem to add depth to the two borders – so which grey plants have I included in this first summer? 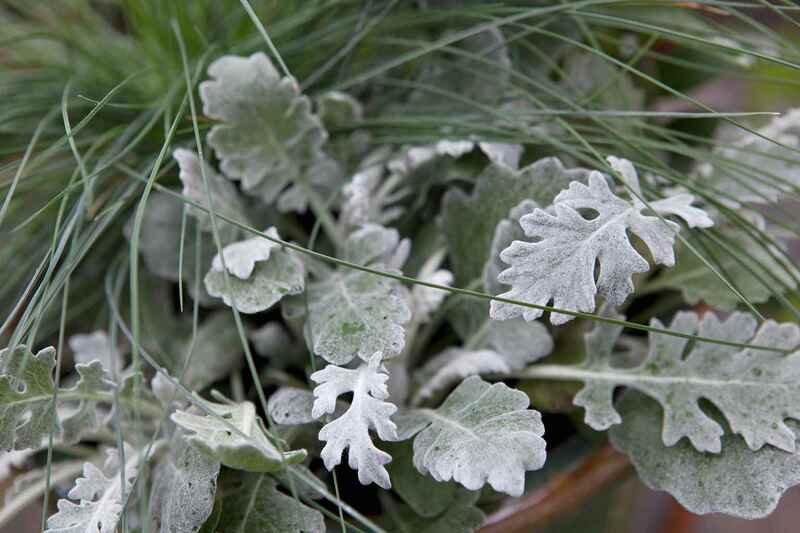 I have found that Senicio cineraria ‘Silver Dust’ (which I grew from seed in vast quantities) has proved invaluable. 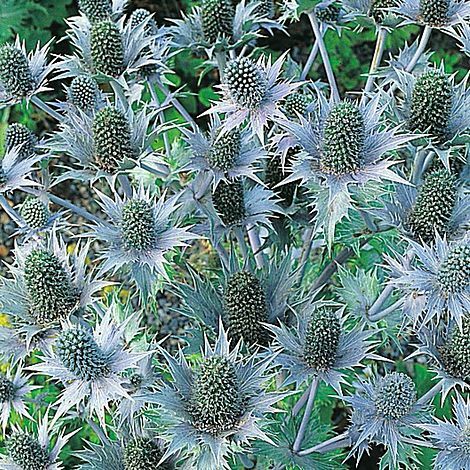 I have also enjoyed using Eryngium giganteum ‘Miss Willmott’s Ghost’ (so-called because Miss Ellen Willmott, apparently never went anywhere without a pocketful of seeds of that particular Eryngium which she would liberally throw about in other people’s borders). 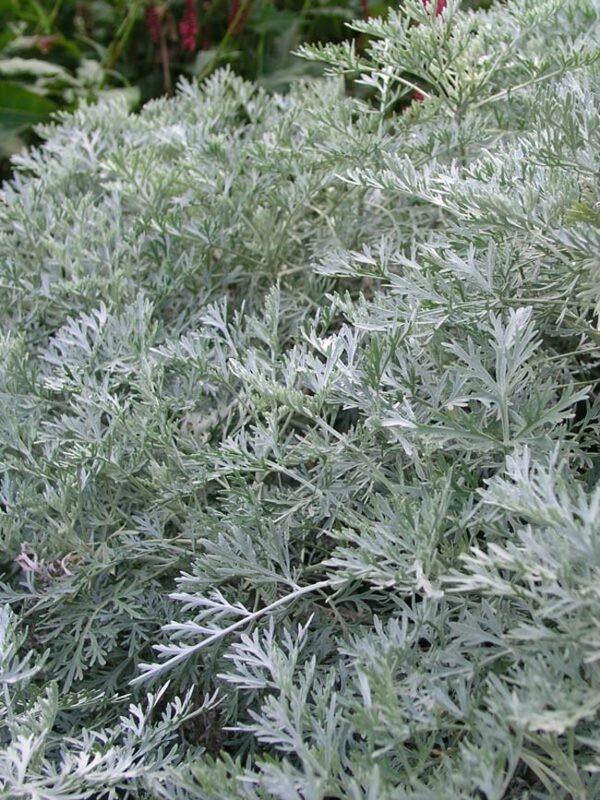 The evergreen dwarf shrub, Artemisia ‘Powis Castle’ is also a key grey plant in my scheme. 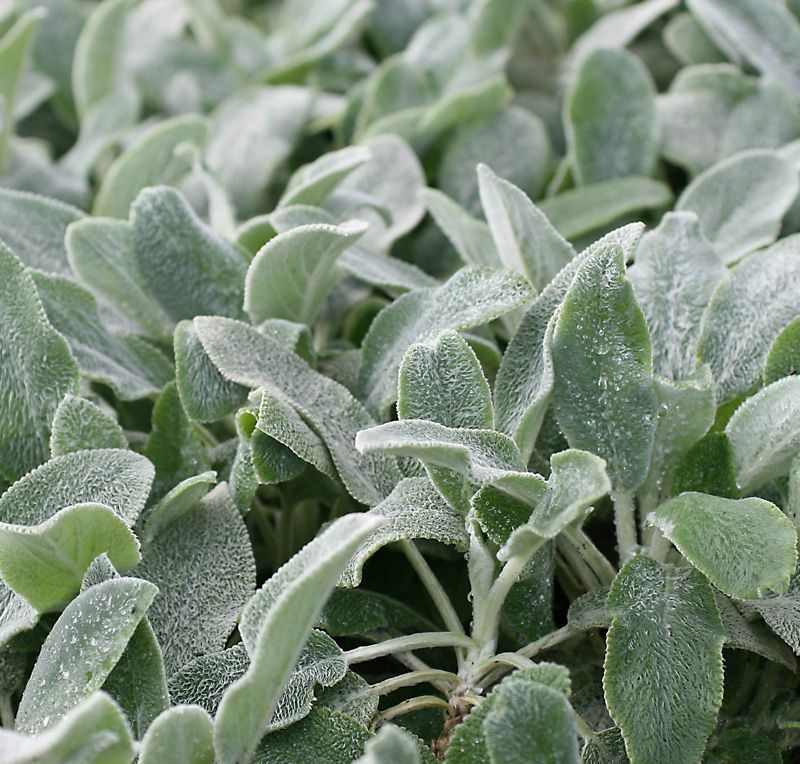 The felty Stachys byzantina ‘Silver Carpet’ will make an appearance next year and I will also add some Hostas which have a grey leaf (this year I just went for Hosta ‘Francee fortunei which is green and white) – well, I say grey, but they technically have a blue-ish tinge. Hosta ‘Babbling Brook’ would do nicely. The photos below show the cineraria; Eryngium, Stachys, Hosta and Artemisia. I planted several pots with white Lilium regale, underplanted with cineraria, ready to dot them around the borders as some of the other annuals start to die back or look scruffy. Already, here towards the end of July, my White Ensign sweet peas, which have been spectacular (lovely long stems so very good for cutting) are beginning to go over and will leave unsightly gaps in August before the white Asters and Anemones start their moment in the sun. Sun? We haven’t had much of that of late, but one lives in hope. I am known for fussing about lack of anything – rain, sunshine, chocolate….. As a gardener, lack of rain seems worse to me than lack of sun, but both end up driving me mad! Do let me know if you have any favourite white or grey plants. A fellow blogger who I enjoy reading, Jenny Williams, suggested the following white plants, which work well for her: Geranium sanguineum ‘Album’; Hesperis matronalis (Sweet Rocket) ‘White’; the Japanese Anemone ‘Honorine Jobert’ and Narcissus ‘Thalia’, all of which I will try out as the garden develops. In fact, as the weather is rubbish and a storm is due to blow in this afternoon I might as well go to the Garden Centre right now.